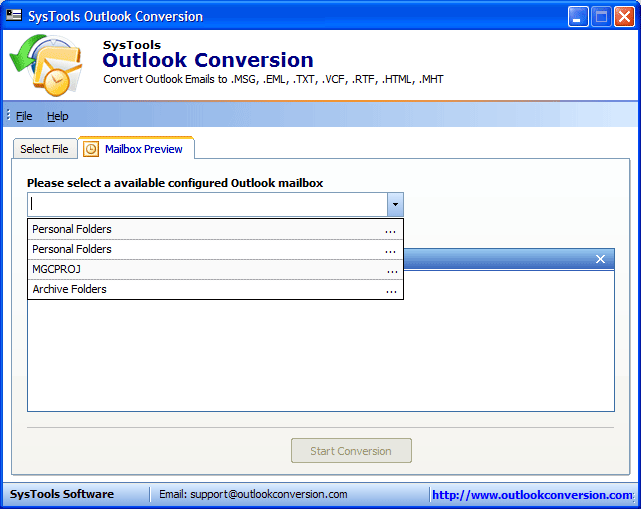 An PST to MHT Converter exports MS Outlook PST File items into MHT format (Multimedia Internet Mail Extension) format. Sotware also converts multimedia items or effects of emails and mailbox items into MHT format. PST to MHT Converter is a intelligent tool used to convert MHT file from PST format. An MHT file compromises of MIME information of web page used by different Web browsers. AS MHT file hold different hidden information of multimedia files, by converting them to MHT format, user can view other details of files. Tool maintains the folder hierarchy while exporting PST file items. Software arranges files saved in the destination location similar to source mailbox folder files in their respective folder according to their structure. Converter displays details of progress includes total no items, subject, current conversion status etc. A user can select the desired mailbox files to convert into MHT file format. The software exhibits a list of all mailbox items so that user check the mailbox items to export. PST To MHT Converter convert a separate or Orphan file data items, which is stored on the local system. 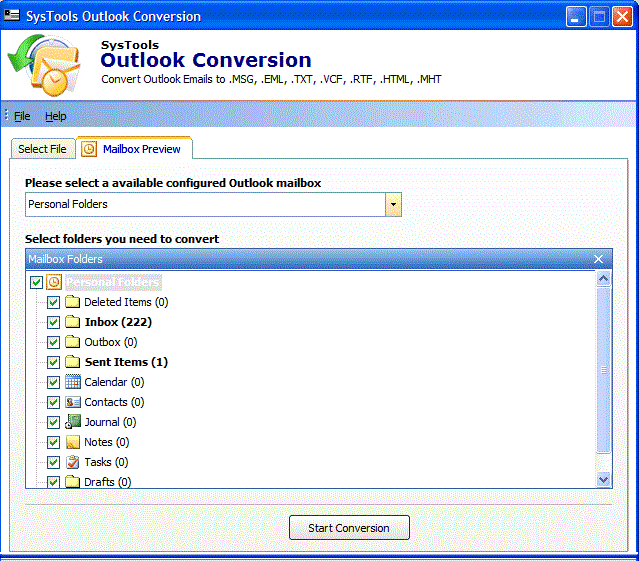 Convert Configured Outlook Mailboxes: Use this option to select configured Account Outlook PST Files. Convert Other PST File: User can use this option to select not configured or orphan PST File stored in the local system. PST to MHT Converter is created in such a way, within in minimum steps user can easily convert PST into web page archived format. Main focus on user accessibility and easy interaction of a user with software to convert files quickly. Supports ANSI & Unicode PST File: Software can easily convert MIME details in MHT format of both PST Files. As software supports both formats of PST file such as ANSI & UNICODE PST format, which helps a user to view MHT file details without any difficulty of format issues. An MHT File format used to save the web page and file extension used by the different web browser. It stores all multimedia content like images, audio and video files, etc. A PST to MHT Converter helps a user to convert PST emails data holding different multimedia data into MHT format to view hidden effects of the file. Web pages stored in MHT format, also known as (Multimedia Internet Mail Extension).MHT page display all effect related to audio, video, animation in a single page. Sometimes a user needs to convert their emails, contacts, task details in web pages. While converting data from PST file, a user can select selective data items to convert in MHT format. With the help of interactive interface & simple steps that take less time to convert file in MHT format. 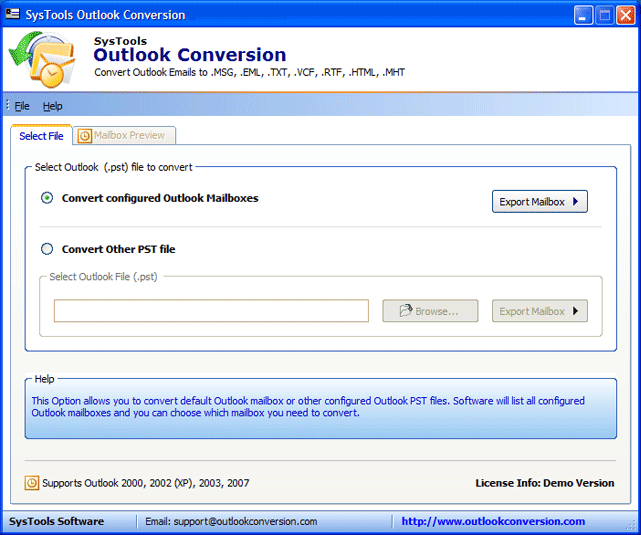 With the help of software, I convert not the only Outlook configured files of my account, but even can convert data items of other PST Files, which is a great option. A Great tool within great price to convert PST files mailbox items. PST to MHT Converter Tool Replies All Doubts & Queries! Except for MHT, can convert the PST File in other formats? .Software also converts PST file in multiple format such as EML, MSG, HTML, vCARD, TXT formats. 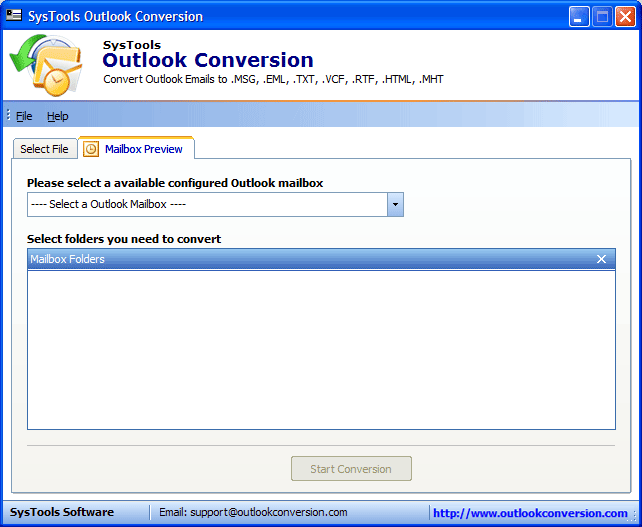 Is it necessary to install MS Outlook on conversion machine?? Yes, MS Outlook should be installed and configured properly to convert configured account mailbox files. Is software supports large size PST file supported to convert file items into MHT format? YES, there is no limitation on file size of PST, Software can support large PST file to convert MHT and other formats. Software not only converts PST format into MHT file, even software convert PST files into multiple format like vCard, HTML, TXT etc. In single software, a user gets multiple options to convert, which is great for me. Now there is no need to buy separate software to convert files. PST to MHT Converter helps me to view the hidden effect of email files related to file images, animations, flash in MHT format. Thanks to developers that's made very easy to view web content details of PST file items..